Spring is here folks! The flowers are blooming, the grasses are greener, and the sun is shining (well on most days). 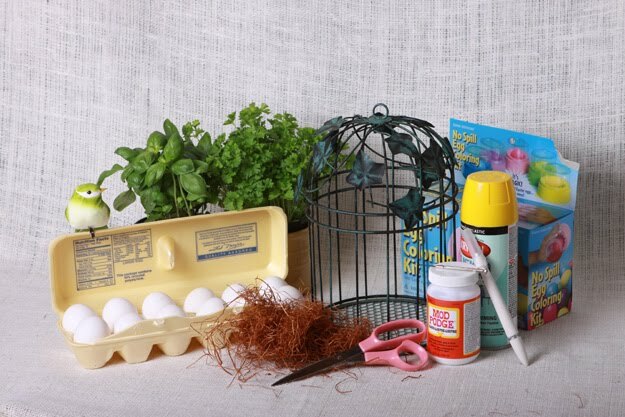 So, onward we go with our week of Easter crafts using none other than the good ole Easter egg. 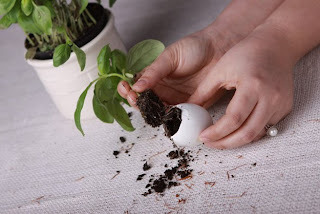 The first thing you want to do is blow out the eggs and decorate to suit your fancy. I kept it simple this time. Once you've blown out the yolk, start chipping away the shell creating your vase. 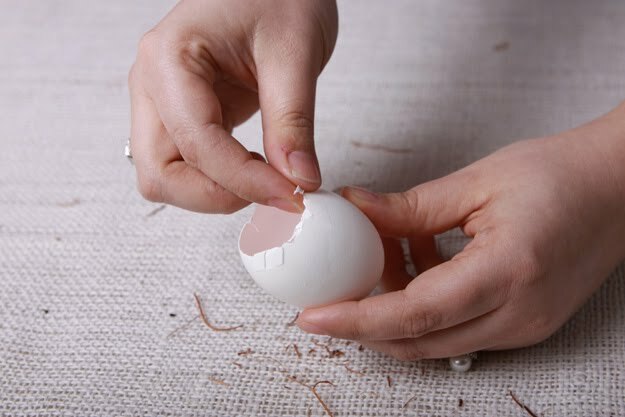 A good way to add extra support to this fragile craft is coating the entire egg with clear fingernail polish once you've finished chipping. 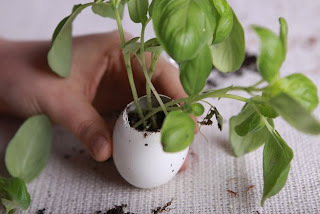 Next you'll want to fill the "vase" with 3/4 dirt (use a tsp or something similar in size). Once the egg is full you may use herbs from your garden or fresh herbs from the grocery. I am using basil for this particular egg. 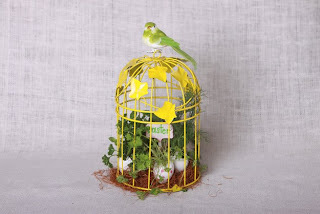 To complete this herb garden I found this bird cage at the Peddlers Mall ($5.00) which I spray painted yellow. 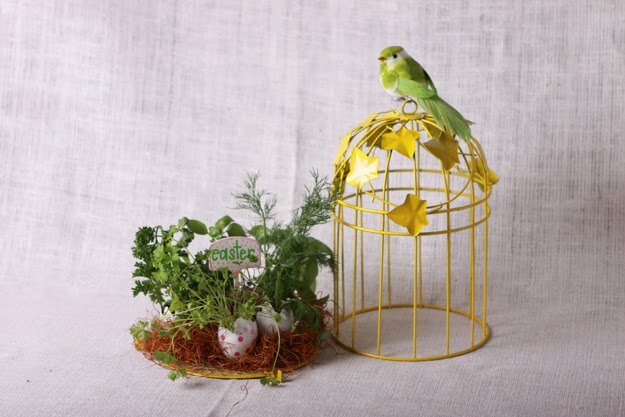 The bird on top was $1.00 (which I couldn't resist) and some shredded wood fibers for $1.49 (from Micheal's) for my "nest" and support of my eggs. Inside my garden you will find basil, mint, and both curled and flat parsley. This project ran me about $9.00! This garden would make an excellent center piece...I'm thinking Easter dinner. But, please note this is not something that will keep very long and I am not encouraging or suggesting growth here..this is pure decoration folks. I'll be linking up to these parties this week. Stop by and check them out! Oh, Jessica! 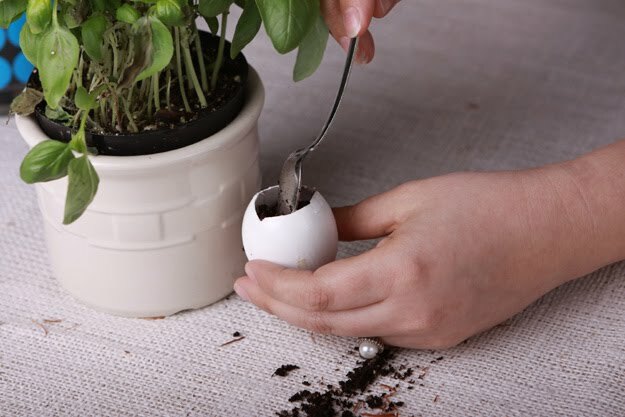 I totally love this idea!! 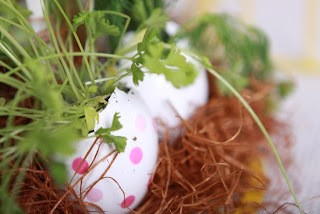 Question though: How did you paint the polka dots on the eggs? What did you use there? Love it. I am definitely doing this! 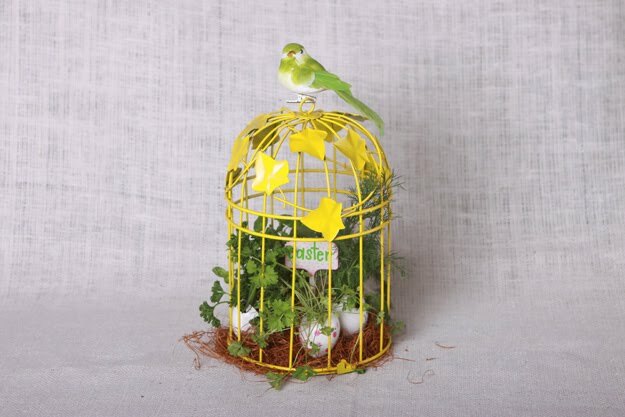 Now I will just need to invite people over so I can use a cute centerpiece! TBonesMom: I used some scrapbook paper; hole punch circles and a little mod podge!! absolutely adorable! ...couldn't be any cuter! Jessica these are too cute! 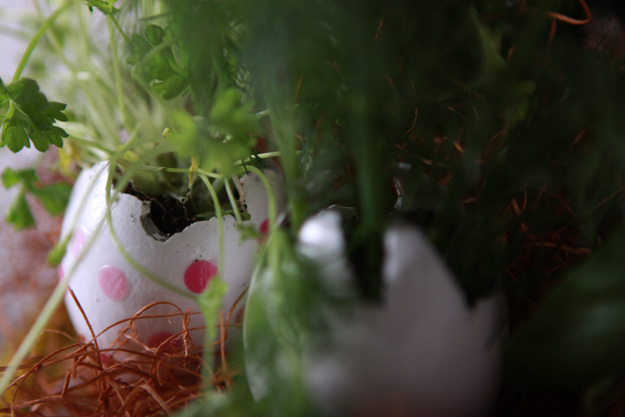 I love them for Easter, what a fun idea!! The polkadots are so cute! Lovin the polka-dots! So stinkin' cute! This is such a great idea! Thanks for sharing! Brilliant idea! Such a cute centerpiece. Thank you for sharing. What a great idea. So creative! I am featuring a necklace tutorial and giveaway. I'd love it if you stopped by my blog! Oh this is SO cute! I love it!! Thanks for linking up to I'm Lovin' It! Hope to see you again this week!! OMG, this is the cutest thing I have seen in a long time! So clever, love it! These are SO cute!! Thanks for sharing at Spring has Sprung at Fun to Craft. You have been featured at Veronica's Korner. Please stop by and pick up your Featured button.